What is IRS Free File? The IRS provides an option called IRS Free File, which allows you to prepare and e-file your taxes for free each year through leading tax software providers. Major online tax prep software such as TurboTax, TaxAct, HR Block, CompleteTax and Liberty Tax service have free options for filing your taxes online. IRS Free File has saved over 43 million Americans more than a billion dollars since starting in 2003.
Who Qualifies for IRS Free File? If you earn $60,000 or less, you qualify to use the Free File software. Don’t worry, if you made more than $60,000 in the year, you can still file by using Free File Fillable Forms. Follow this step by step guide to get everything in order for filing your taxes for free in 2016. 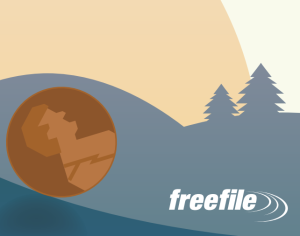 Once you’ve located all these items, you’re ready to use the IRS Free File service. The IRS Free File is great because it saves you time, gets your money faster, and allows you to track your return. Is IRS Free File Safe? Yes, the approved providers for Free File are verified to meet IRS-approved security standards. Major Free File providers such as Turbo Tax and HR Block use strict encryption and security measures just like major banking institutions. If you qualify for the IRS Free File, make sure you bookmark this page and follow these steps in order to file your taxes for free in 2016.